We have three core offerings, Triboconditioning®, TriboNite® and Tricolit®. Triboconditioning® is a mechanochemical surface treatment method process that is used to reduce frictional losses and wear on various steel and cast iron surfaces. TriboNite® is an advanced industrial thermal processing and coating technology which combines the advantages of nitriding with the superior tribological properties of solid lubricant coatings, a unique combination of mechanical toughness and low friction. Tricolit® is a sprayable solution that is heat cured into a hard coating, resulting in reduced frictional losses and wear on various surfaces. 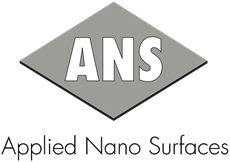 It is a versatile product that can be used alone or in combination with other coatings in order to optimize the characteristics of the material. We have a license based business model, and our clients are component manufacturers that have implemented our technology in their manufacturing processes. By doing so, they can add value to their clients by delivering improved properties in terms of reduced friction and wear, all at a competitive price. We also offer professional services to support our clients in their effort to improve their products from a tribological perspective. We have the experience, know-how and equipment to recommend the best possible solutions to our clients.